Make a statement in this ultimate must-have midi skirt girl. 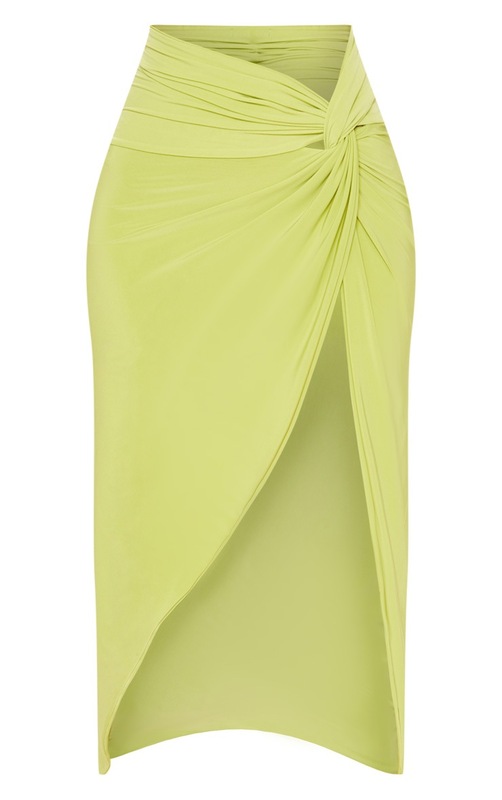 Featuring a lime material with a knot detail and an asymmetric hem. Team this with the matching crop top and strappy heels for a look that will get you noticed.